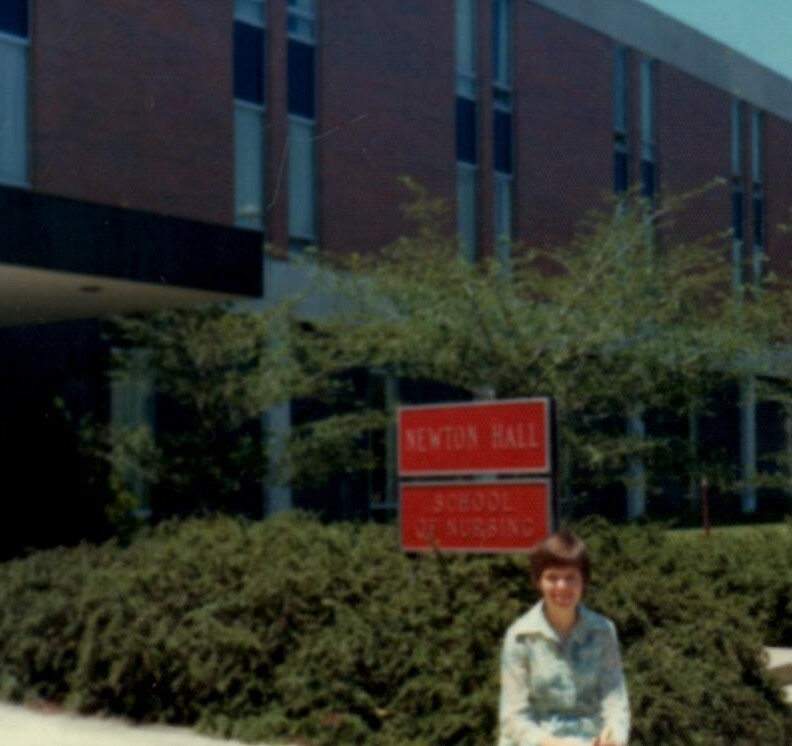 I finally began studying at the School of Nursing with my 200 classmates. The lecture hall is huge where we had our nursing theory class (5 hours) and Growth & Development class (3 hours). My most difficult class by far was Physiology (5 hours). They split our class so one half started with two quarters of Physiology and the other half started with one quarter of Anatomy. I wish I could have started with Anatomy. I also continued with my violin lessons (1 hour) and started group Piano lessons (1 hour) for my electives. We went to the Nursing Laboratory and started learning our skills of taking blood pressures, temperature, pulse, respirations, giving bed baths, and making beds. Then we went to a nursing home for our clinical time and took care of our assigned two patients. It was like when I was a nursing assistant last summer, except it was daylight and the patients were awake. Ohio State is a huge football school. In fact, they are ranked number 1 in the country. But since I don’t understand the game of football, I didn’t go to any games. Instead, I went to the Health Sciences Library and read all my required readings on reserve. It’s difficult to access the articles in the evening when all the other students are reading them because they only have a few copies. This new library located beside the University Hospital is used by all the medical disciplines. Because the books are so expensive, all the bookshelves are behind glass. When I check out a book, I give them my student identification card, the employee enters the request in the computer, and then I wait while the huge amazing mechanical arm gets it from the shelf and puts it on the conveyor belt. I enjoy visiting all the different libraries on campus to vary my study environment. I continue to teach the women’s Bible class weekly in my dorm. This quarter five women attended who eagerly heard God’s Word. The Lord blessed me with a godly roommate who also attends the Bible class. We had precious times of fellowship and prayer and sharing the gospel with the other women in our dorm. Because my classes require so much more study than last year, I quit my job at the library and stopped teaching the children’s Bible clubs. I have continued with the home Bible study program and was so encouraged when I read the biography of Amy Carmichael, a missionary lady to India. She rescued orphans from the Hindu temples and started a large orphanage for them where she and her coworkers taught them the Word of God as they raised and educated them. I also read a biography about Isobel Kuhn, a missionary with China Inland Mission to the Lisu people in western China. What godly examples both these ladies are to me! Isobel Kuhn taught a women’s Bible class in Canada before she went to China and challenged them with Hebrews 6:1 “…let us go on unto perfection (maturity)” which I passed on to my women’s class. Ten years after I graduated, a friend kindly taught me how to understand and enjoy watching football so I am an avid fan of Ohio State now. I regret all those games I missed while studying in the library which I could have attended as a student for a few dollars. During my college years, the football team won the national championship and Archie Griffin received the Heisman trophy twice (the highest award in college football in the USA). My brother and brother-in-law are also alumni, so fifteen years ago, we and their spouses attended a game with 100,000 other fans on a gorgeous autumn day and had excellent seats. Our team won, so it was worth it to fly there for the game. I thank the Lord for the times He also gives us to laugh and relax!